BERLIN, Germany – Aug. 31, 2016 – Lenovo (HKSE: 992) (ADR: LNVGY) today announced the expansion of its multimode Yoga family with the new Yoga 910 convertible laptop and Yoga Tab 3 Plus Android tablet. Today’s PC customer is constantly challenged by the demands of quickly evolving consumer lifestyles, an evolving workplace and digital demands. To meet this continuous shift of consumer expectations, Lenovo has built its latest Yoga products based on extensive user research and feedback. That’s why each new Yoga range adds new technology, like the Yoga 910 fingerprint reader that simplifies PC log-in. As customers demand more convenient authentication options, Lenovo has embedded an advanced fingerprint reader into the Yoga 910 – designed to bring mobile convenience and improved security to the PC. With the touch of a finger, users can quickly log onto their PC using Windows Hello™ – no long passwords required. Lenovo App Explorer also lets users personalize with popular apps, like Skype®, Facebook® or Netflix®. We’ve added a new all-metal unibody casing – in Champagne Gold, Platinum Silver and Gunmetal – for a luxurious look and portability no matter where users take it. It maintains the Yoga convertible series’ signature watchband hinge and flexible usage modes – enabling users to type in laptop mode, present in stand mode, watch videos in tent mode or browse in tablet mode. The watchband hinge now provides an even smoother, more accurate transition between its modes. Paired with the sleek Yoga mouse (sold separately) that doubles as a remote control, the Yoga 910 puts high-end performance, portability and versatility into a thin and stylish 13.9-inch convertible laptop. The newest addition to the Yoga Tab 3 series brings a complete cinematic entertainment experience to Yoga tablet users at all price points. With many users watching marathon sessions of their favorite TV shows and movies on their tablets wherever they go, the need for a device that offers a high quality audio and visual experience, total flexibility for different environments and a long-lasting battery was clear. The Yoga Tab 3 Plus offers a 10.1-inch 2K display with Technicolor™ Color Enhance, Dolby Atmos® three dimensional sound from four front-facing JBL speakers and four separate viewing modes. With Lenovo Media Cast, users can also stream audio (via Bluetooth®) and video (via Miracast®) to the Yoga Tab 3 Plus from another device, providing the best quality screen and speakers to share with their friends and family, wherever they are. The Yoga Tab 3 Plus continues the series’ signature provision of total flexibility, with four modes to deliver complete portability wherever the user is watching: stand, tilt, hold or hang. The Yoga Tab 3 Plus comes equipped with a 9300 mAh smart power management battery offering over 18 hours of battery life3 along with a 24w fast charger. For more on the Yoga Tab 3 Plus, please click here. All Lenovo products are available on www.lenovo.com. The Yoga 910 starts at €1499 including VAT, available starting in October 2016. The Yoga Tab 3 Plus starts at €299 including VAT, available starting in November 2016. Discover more at www.lenovo.com/lenovolaunch and www.lenovo.com/ifa. Lenovo (HKSE: 992) (ADR: LNVGY) is a $46 billion global Fortune 500 company and a leader in providing innovative consumer, commercial, and enterprise technology. Our portfolio of high-quality, secure products and services covers PCs (including the legendary Think and multimode Yoga brands), workstations, servers, storage, smart TVs and a family of mobile products like smartphones (including the Motorola brand), tablets and apps. Join us on LinkedIn, follow us on Facebook or Twitter (@Lenovo) or visit us at www.lenovo.com. 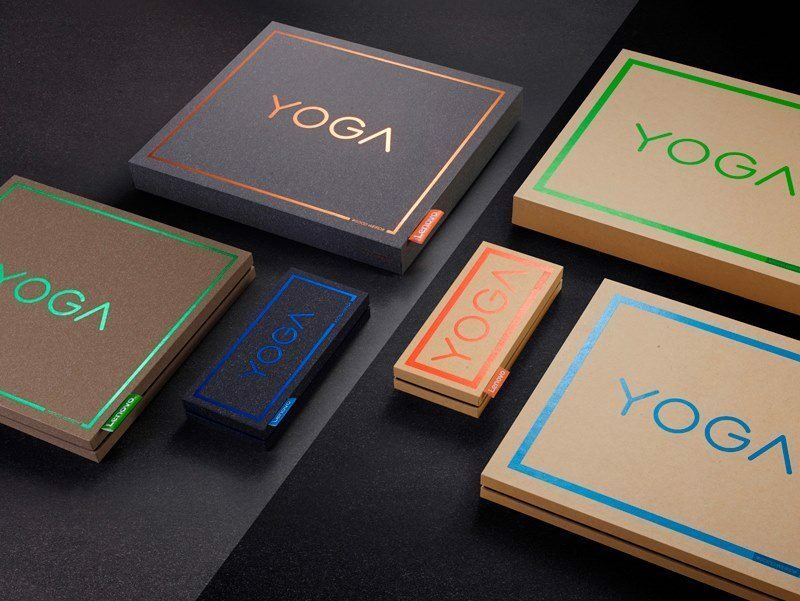 LENOVO and Yoga are trademarks of Lenovo. WINDOWS, WINDOWS HELLO and SKYPE are trademarks of Microsoft Corporation. ANDROID is a trademark of Google Inc. Ultrabook, Celeron, Celeron Inside, Core Inside, Intel, Intel Logo, Intel Atom, Intel Atom Inside, Intel Core, Intel Inside, Intel Inside Logo, Intel vPro, Itanium, Itanium Inside, Pentium, Pentium Inside, vPro Inside, Xeon, Xeon Phi, and Xeon Inside are trademarks of Intel Corporation in the U.S. and/or other countries. JBL is a trademark of Harman International Industries, Incorporated. DOLBY AUDIO and DOLBY ATMOS are trademarks of Dolby Laboratories Licensing Corporation. GAME OF THRONES is a trademark of Home Box Office, Inc. FACEBOOK is a trademark of Facebook, Inc. NETFLIX is a trademark of Netflix, Inc. TECHNICOLOR is a trademark of Technicolor Trademark Management. BLUETOOTH is a trademark of Bluetooth SIG, Inc. MIRACAST is a trademark of Wi-Fi Alliance. MOBILEMARK is a trademark of Mobile Mark, Inc. All other trademarks are the property of their respective owners. ©2016, Lenovo Group Limited.